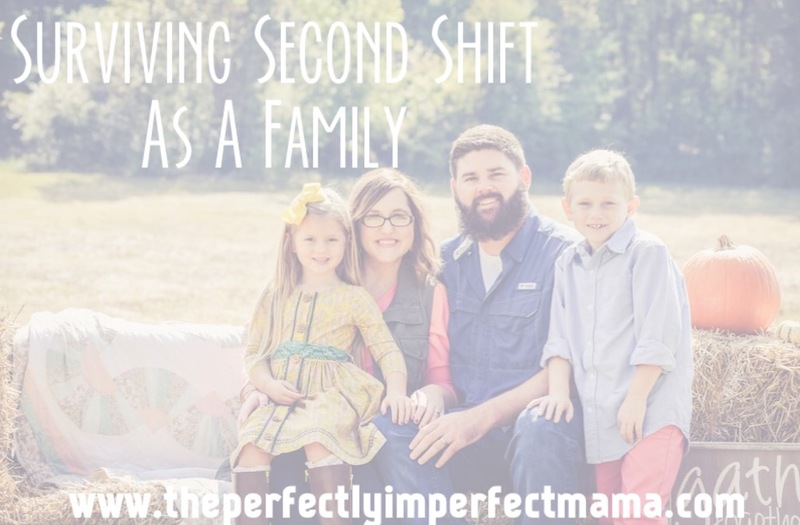 I know that many jobs are different & sometimes make you work crazy hours but unless your spouse has ever been on second shift, then you have no idea how incredibly hard it is to have a family life. It has definitely been hard on us but I can honestly say that we all 4 made the best of it! Our kiddos & I hardly ever saw Dan during the week but it was the hardest on Cooper. I mean watching him everyday broke this mama's heart. There were days he just begged his daddy to go back to first shift (or ship as him & Millie Jo called it for the longest time) but of course, Dan had no control over it. He would go into work at 2pm, Coop didn't get home from school until 2:25, Dan would come home for lunch at 7pm but have to be back by 8 & then he would get home between 12 & 2am. Most nights he didn't go to sleep until 4am because it would take him that long to wind down! I have to give it to him, most mornings he got back up in the mornings to take Coop to school just to get some time with him then would come back home, go back to bed until lunchtime & then get back up so he could spend time with me & Millie Jo before he had to be back at work. I mean if you're adding all that up, then you see that we only ever saw each other for several hours a week & poor Coop, maybe 5-6 hours. I'm just here to tell y'all that a seven year old boy needs his daddy! We all know that by the late afternoon everyone is DONE but homework has to be done, dinner has to be cooked & eaten, baths have to be taken & bedtime has to be done. I'm just beyond thrilled to have my tag team partner back in the evenings!! Second shift can also affect a marriage. There were many times Dan & I had to sit down together & reassure each other that we were there for one another even though we weren't seeing much of each other. He needed to know that I fully supported him, I mean he was working every single day & providing for our family, & I needed to know that he supported me doing ALL the things at home. It was up to the two of us to keep our connection there & sometimes that was hard! We both agree that we never want to take our precious family that God has so graciously blessed us with for granted or the time we get together. We've had to say no to many things & people the past year & a half because we looked forward to our Saturdays & Sundays together so much. We thrived off that family time! Maybe your family is on a similar schedule ... the struggle is real, I feel you friend! But hang in there. Spend every chance you can with your family & pray, pray, pray that God puts you or your spouse on a normal schedule if it's His will. I spent many, MANY months doing so! Whew, what a long 15 months that was! I think it's safe to say that we are all so happy to be on the other side of it! That must have been hard! So happy for you that your hubby is back to first shift!